Substituter le titre du roman. 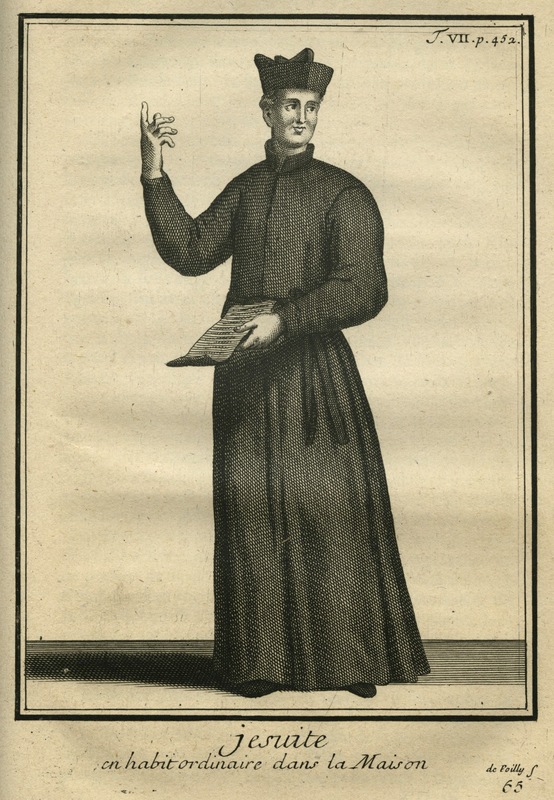 Father Hardouin’s most famous follower was a fellow-Jesuit, Isaac-Joseph Berruyer who between 1728 and 1758 published a history of Biblical times in many volumes entitled The History of the People of God. 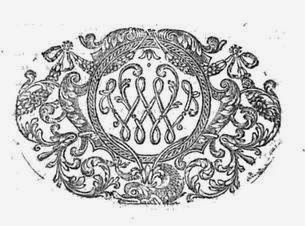 In May 1753 the appearance of the second part of this work caused a furore equal to or greater than any produced by the publications of the philosophes. It was condemned by the Pope, the Archbishop of Paris, the Sorbonne and the Parlement, and finally ceremonially burnt by the public hangman. The Jesuits of Paris had done their best to limit the damage. Following a conference with Archbishop de Beaumont ten thousand écus had been placed at their disposal to round up all available copies and compensate the booksellers. However, by October, when the Jesuits issued their formal disavowal, d'Argenson reports that police had already seized four thousand copies at the gates of Paris. Handbills were given out at church doors and other public places stating that the Society had nothing to do with the affair. 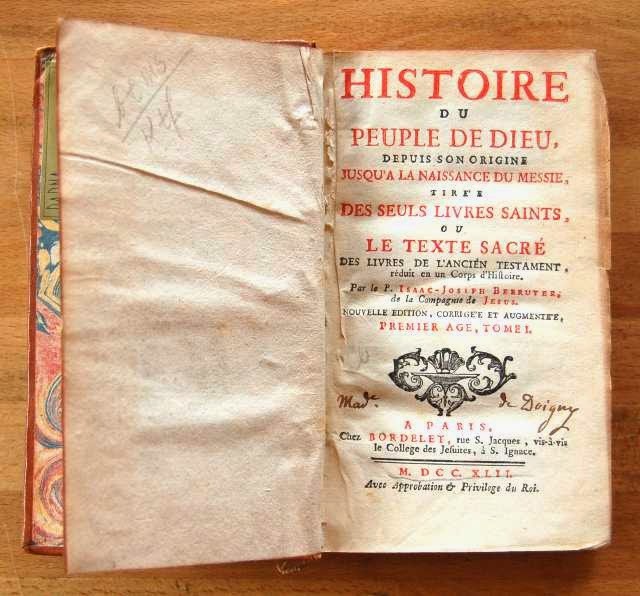 Berruyer himself claimed that he had not been responsible for the work's unauthorised appearance and indeed, Jesuit sources confirmed that he had come from Rouen to Paris to print the Histoire only to find publication blocked by the Jesuit Provincial. The Année Française even claimed that Father Tournemine had kept the only manuscript under under lock and key, amusing himself every so often by bringing it out to read aloud and ridicule. Nonetheless, although Berruyer apparently acquiesced humbly in the condemnation, a third part appeared four years later, raising reasonable suspicions both that he was not really so repentant and that he had influential supporters. The principal accusation against Berruyer's history was the grave one that he was guilty of substituting his own word for the word of God, a charge lent substance by his method - adopted from Hardouin - of creating a loose paraphrase of the Biblical text. Berruyer modernised the Biblical language, put imaginary conversations into the mouths of the sacred characters, inventing thoughts and motivations and inserting comments to point out the moral of the story. He was criticised for lingering pruriently over the loves of the patriarchs, the passion of Potiphar's wife or Judith's liaison with Holophernes. His New Testament caused even greater offence. The work also betrayed Hardouin's critical idiocyncrases - his exclusive reliance on the Latin Vulgate, his chronological revisions, his heterodox interpretation of Old Testament prophecies as having two literal meanings at once; and in the New Testament his supposedly anti-Trinitarian interpretation of the person of Christ. The literary wags, of course, had a field day: a Jesuit had turned the Bible into a third rate novel! The Patriarchs were made to think and act, "like men brought up at Court or in the middle of Paris". Voltaire took pleasure in noting that the Bible had been transformed into "un roman de ruelle" and that Berruyer, "although a Jesuit, was a fool"." In his article "Adam" in the Philosophical dictionary, he reviewed the weird and wonderful contortions of contemporary theological discussions of Genesis and commented ironically that he would leave their resolution to Berruyer: "He is the most perfect Innocent I have ever known; the book has been burned, as that of a man who wished to turn the Bible into ridicule; but I am quite sure he had no such wicked end in view." For once Voltaire had totally missed the point. Berruyer was no fool and it was the very vagaries of critical scholarship and their potential threat to Christianity which, following his mentor Hardouin, he sought to address. In controversy Berruyer defended critical freedom but also the need to safeguard faith against the necessary uncertainties of criticism itself. To do so he turned to the usual Catholic appeal to Church tradition, but with a novel twist. True tradition was to be found not in writings but specifically in the Church's oral tradition - in its everyday teaching rather than in "a mass of prickly discussion": "It is in the teaching of the Roman Church, and in its present teaching, that I find without risk and at small cost the tradition of all the ages; it is there that the Religion of Christ must be found, even by those who seek to combat it". (Vol. 1,p.263) . For the Bible there were two crucial consequences. Firstly, since the Church had pronounced that the Latin Vulgate was the "authentic" version of the Bible, this text alone should be relied upon. "The history of the people of God that I am writing, cannot in any way be found in the books of Pagans". It was Hardouin and Berruyer's contention was that that an entire history could be constructed from the Vulgate alone, without recourse to rival versions or secular sources - the divine monuments, when appropriate interpreted and arranged, says Berruyer, "furnish by themselves the most true, the most beautiful and the most interesting history in the world". The other consequence was to empty the Bible of doctrinal content : Scripture provided historical testimony to the truth of revelation rather than evelation itself, which should be sought in Church tradition . Thus Moses and the Patriarchs knew nothing of the Christian mysteries, whilst the Prophets foretold only Christ's Messiahship. Jesus's own teaching was often obscure or conditioned by the needs of his immediate audience. He offered no religious doctrine or ethics but sought only to convince his hearers that he was the Son of God, and to demonstrate his supernatural power through miracles. Wikipedia article taken from Aloys De Backer, Bibliothèque des écrivains de la Compagnie de Jésus, (1856), p. 144-5. Isaac Joseph Berruyer (1681-1758) on "Berruyer.com"
.R. Palmer, Catholics and unbelievers in 18th century France (Princeton 1939), p.68-76. C.M. Northeast, The Parisian Jesuits and the Enlightenment SVEC (1991) p.144-55.